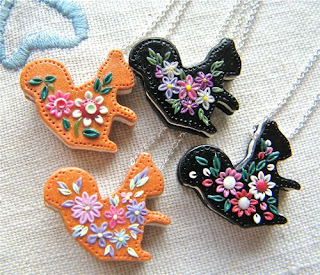 They are little squirrel cookie pendant decorated with flowers and vanilla cream in the center. They are my favorite buddies! !